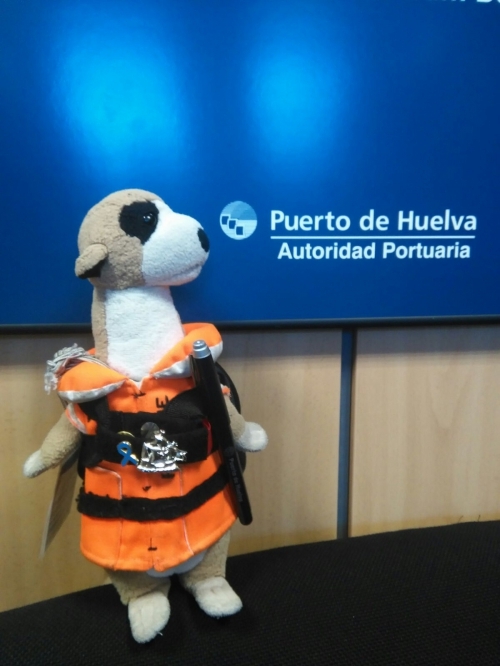 On February 17th, Fred visited Huelva's Port Authority, where he could meet all the employees working there and was also able to learn how a port is managed from the inside. 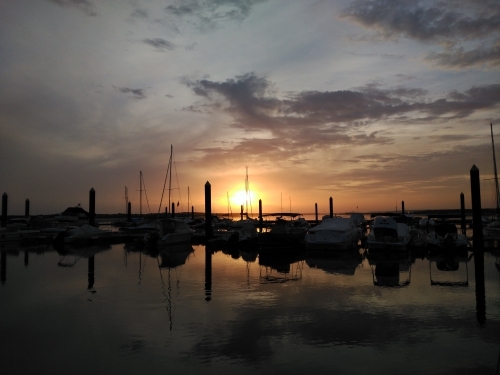 He then sailed to El Rompido (a small and hidden paradise really close to Huelva) with his friends Federico and Andrés. 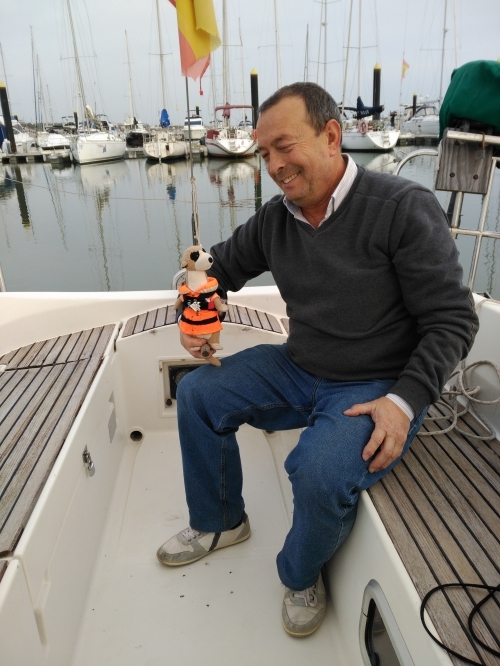 He spent a wonderful day in the Piedras river on a sailing yacht. 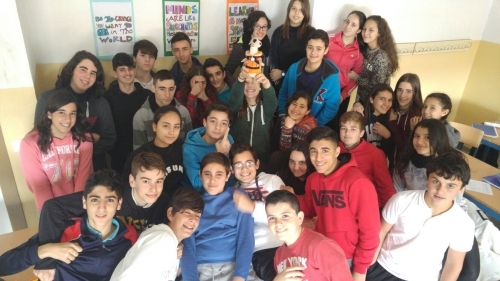 Also Fred visit the Aljaraque High School , and he explained to the students , via web , the Project and the places that he had visited. Unfortunately, all good things come to an end, and the departure day has finally arrived . 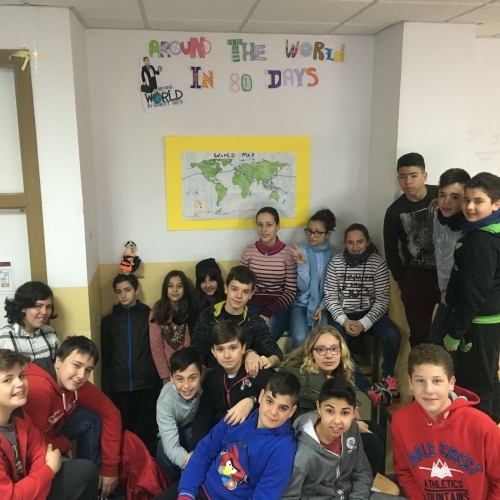 The last morning Fred left Huelva with his new foster father, Alfredo, starting a new journey that brings to our minds, the one Christopher Columbus did more than 500 years ago, also leaving from Huelva, and that ended up with the discovery of "the new world", América. 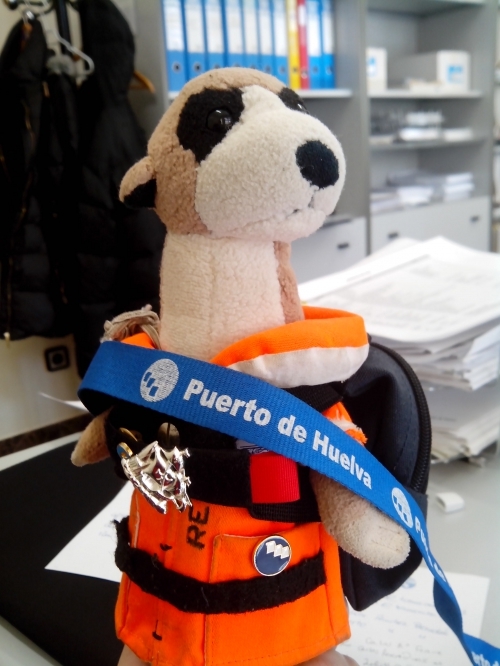 His new home from now on is going to be the Spanish dredger "Dravo Costa Dorada", which after a short stop in Las Palmas (Canary Islands) will continue its way to Costa Rica, where some harbour works will be developed. 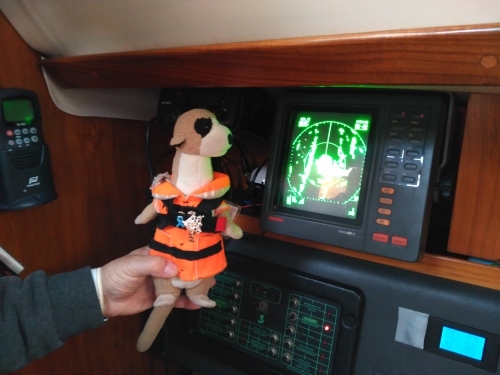 We wish our fellow colleagues good luck with the winds and seas, and that they make the most of their time with Fred, hoping they create as many memories as we've done with him by our side. And as amazing as ours. See you soon, Fred. Hasta pronto amigo .